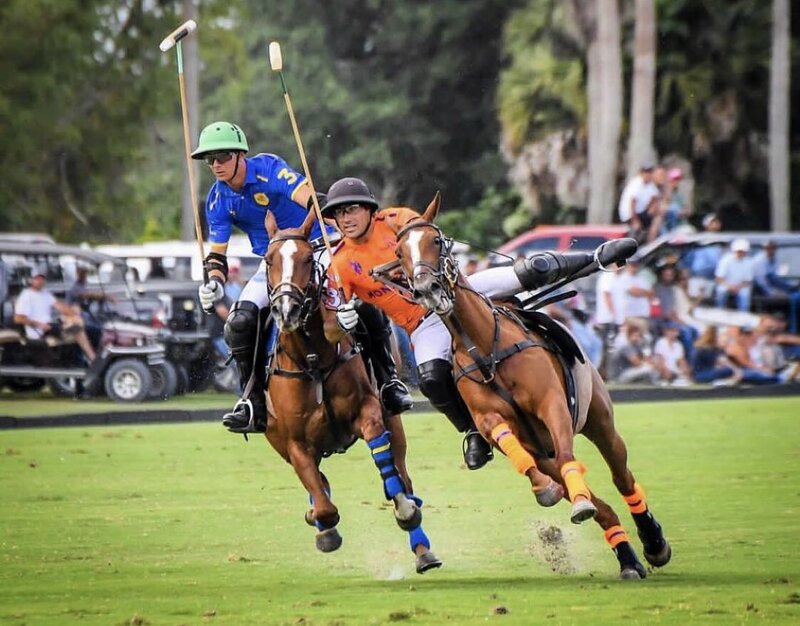 Colorado remained unbeaten and WPL won its first game Thursday in the Triple Crown of Polo while the World Polo League will make a little more history on Friday with a unique first-of-its kind game. 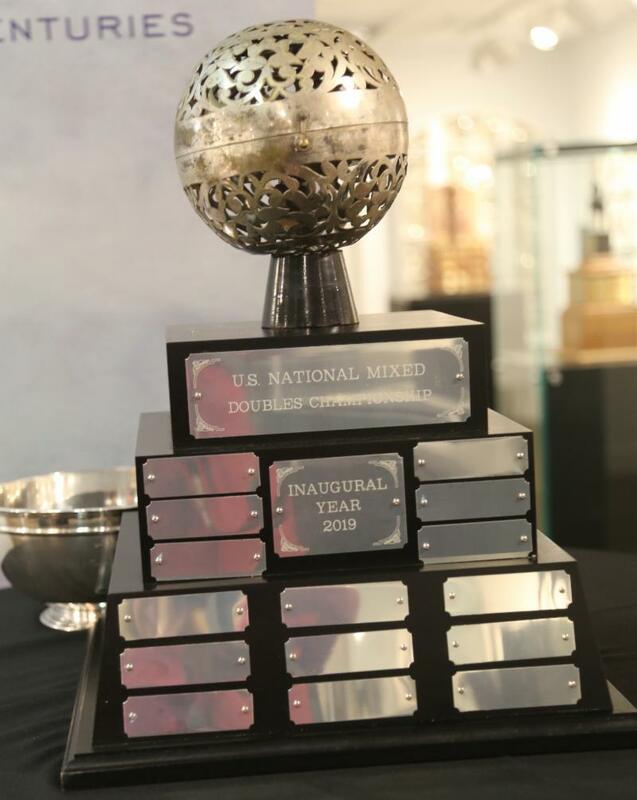 The World Polo League U.S. National Mixed Doubles Championship, featuring two men and two women with combined handicaps, will be the feature game Friday at 4 p.m. at Valiente PoloFarm. 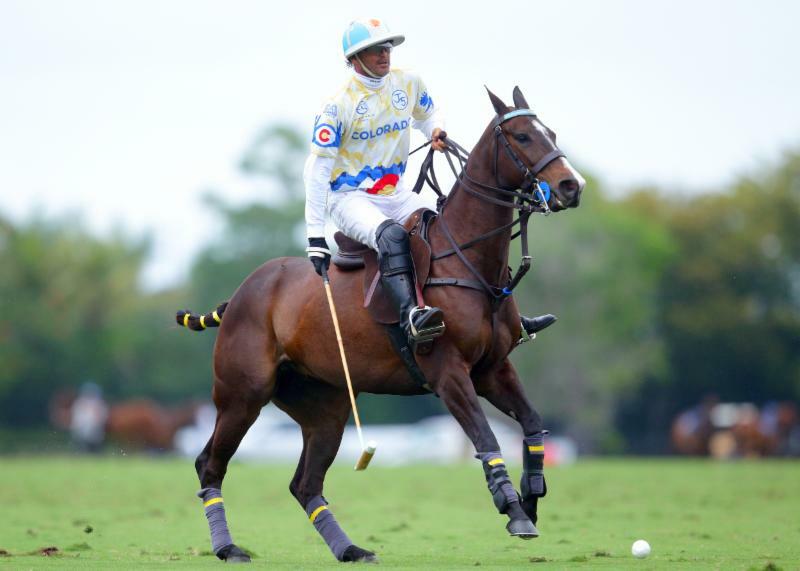 Valiente (Bob Jornayvaz, Mia Novillo Astrada, Mia Cambiaso, Adolfo Cambiaso) will play Audi (Marc Ganzi, Pablo MacDonough/Juan Martin Nero, Nina Clarkin, Mili Sanchez). The game will pit 10-goalers Cambiaso and Clarkin against each other. 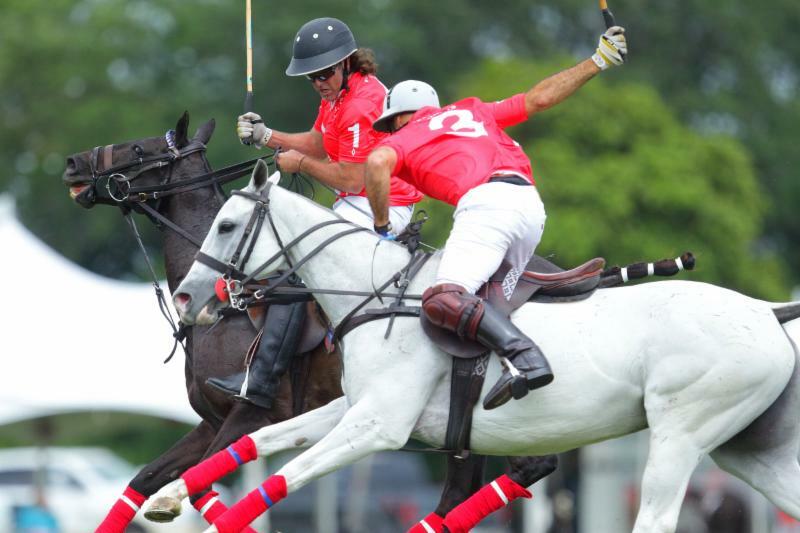 “That will be fun, really fun,” Adolfo Cambiaso said. Guillermo Terrera of WPL watches his attempted goal hit. 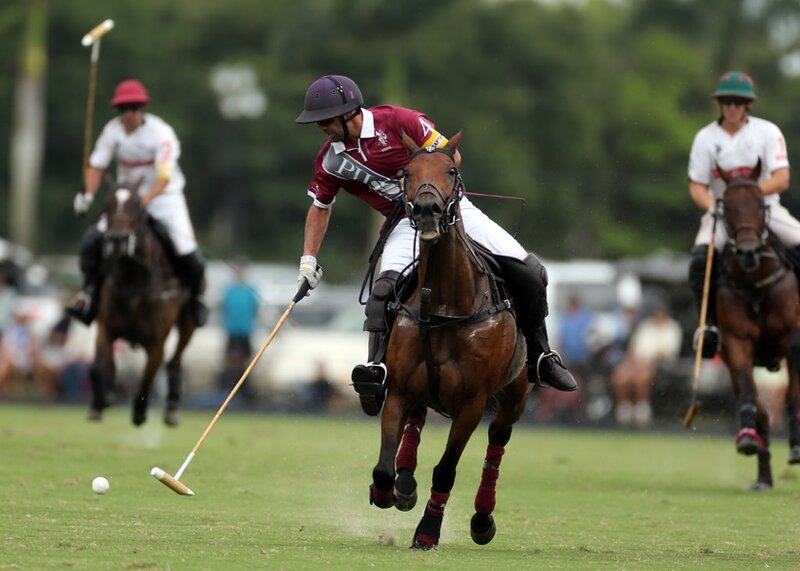 In the only WPL action on Friday, Audi (Marc Ganzi, 2, Nic Roldan, 8, Pablo MacDonough, 10, Kris Kampsen, 6) and Grand Champions (Grant Ganzi, 3, Juancito Bollini, 4, Juan Martin Nero, 10, Rodrigo Andrade, 9) will meet in the battle of the unbeatens at 10 a.m. at Valiente Polo Farm Field 2. 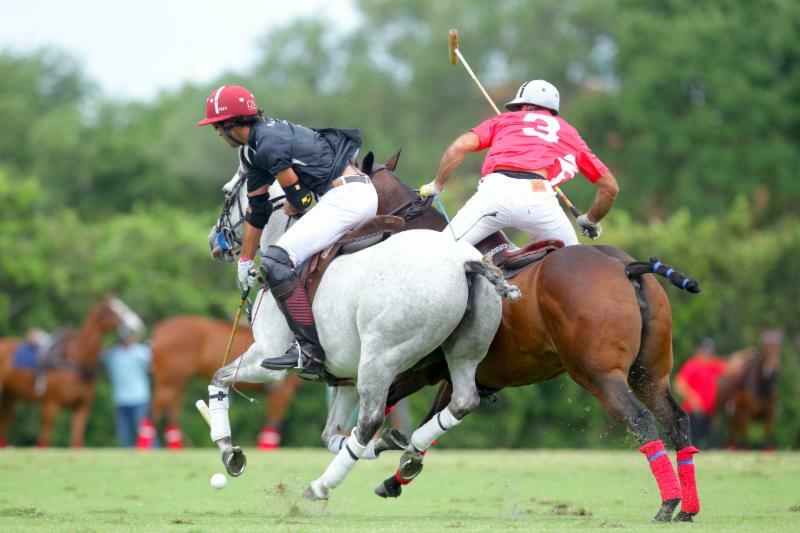 Agustin Nero of WPL tries to ride off Alejandro Novillo Astrada of Mandarina. 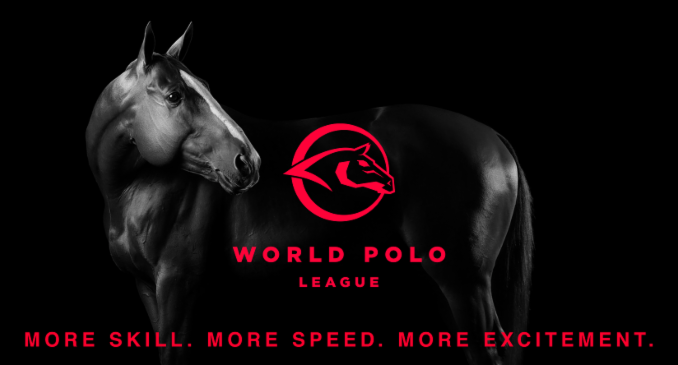 In World Polo League action on Thursday, WPL (Chris Dawson, 2, Guillermo Terrera, 8, Agustin Nero, 6, Diego Cavanagh, 9) defeated Mandarina (Melissa Ganzi, 0, Alfredo Bigatti, 8, Alejandro Novillo Astrada, 8, Pablo Spinacci, 6), 11-7, for its first win of the Triple Crown of Polo tournament at windswept Grand Champions Polo Club. 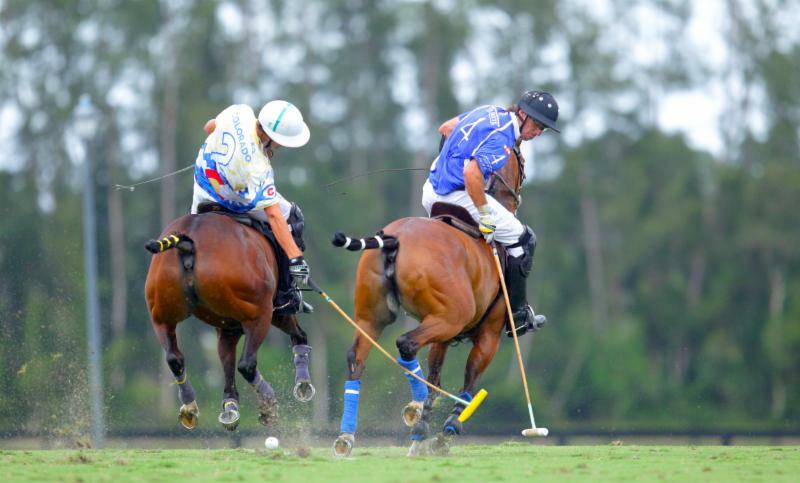 WPL had its work cut out for it in the opening chukker. 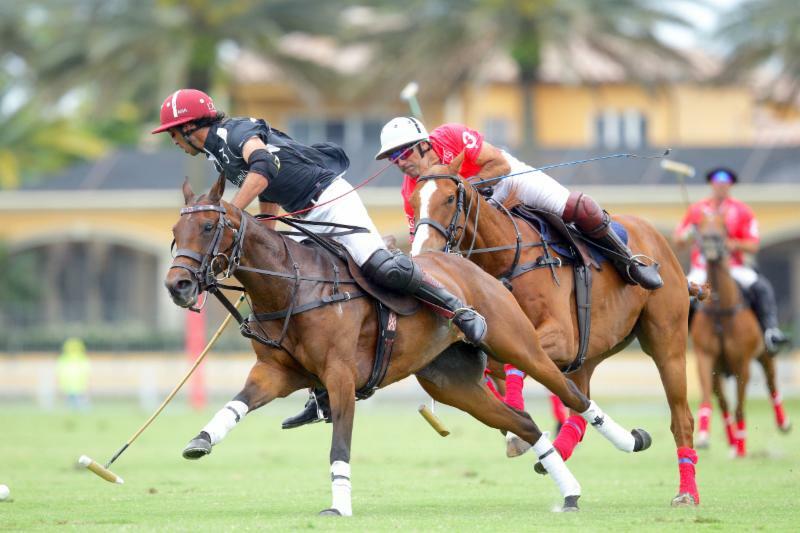 Mandarina opened with a 4-0 lead on handicap and quickly jumped out to a 6-1 cushion with 2:46 left in the second chukker. Chris Dawson of WPL watches teammate Agustin Nero go for the big hit downfield. In the fast-paced, wide open game, WPL started to claw its way back scoring three unanswered goals to trail, 6-4, at the half. The WPL’s momentum continued in the second half when Terrera worked his way through a crowd of defenders to score and trail by one, 6-5. 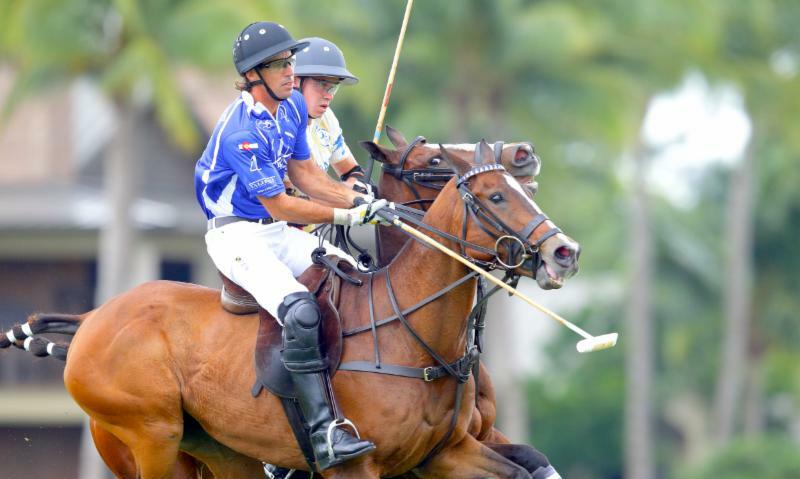 Dawson, making his 26-goal debut, scored the tying goal with 1:38 left in the fourth chukker. After that, it was all WPL with three more unanswered goals before Mandarina scored its first goal in the second half when Novillo Astrada scooped up the ball at his own 60-yard line and raced to score despite Nero closely defending. Agustin Nero of WPL and Alfredo Bigatti of Mandarina battle for the ball. Terrera scored four of his six goals in the second half. “It was a little bit tricky because we were 6-1, but we gave them four or five goals,” Terrera said. “In the plays we were winning, but losing on the scoreboard. We kept our minds on our plays and not the scoreboard. “This was a big game for us to win because now we have a chance to go to the semis,” Terrera said. Alejandro Novillo Astrada of Mandarina hits the near side shot. 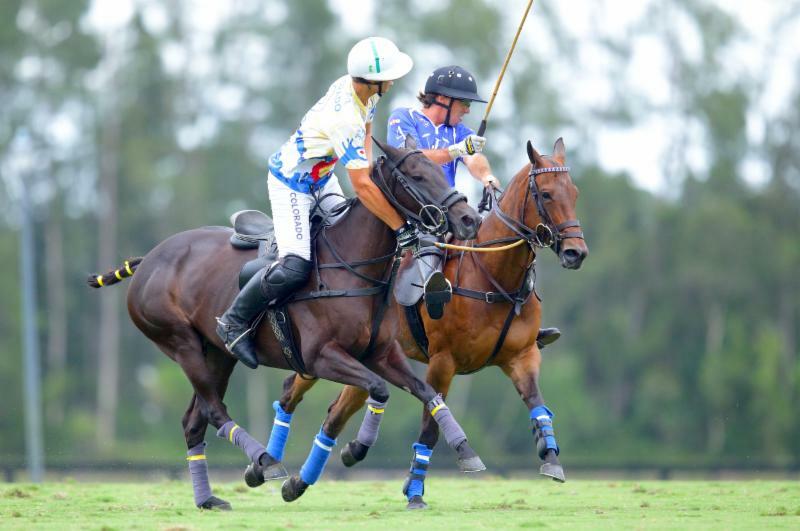 For Dawson, president and founder of Hawaii Polo Life and USPA Circuit Governor of the Hawaiian Islands, it was a dream come true to play high goal alongside and against some of the best polo players in the world. Dawson praised Robertito Zedda and the Jornayvaz family for the opportunity to play in the WPL game. 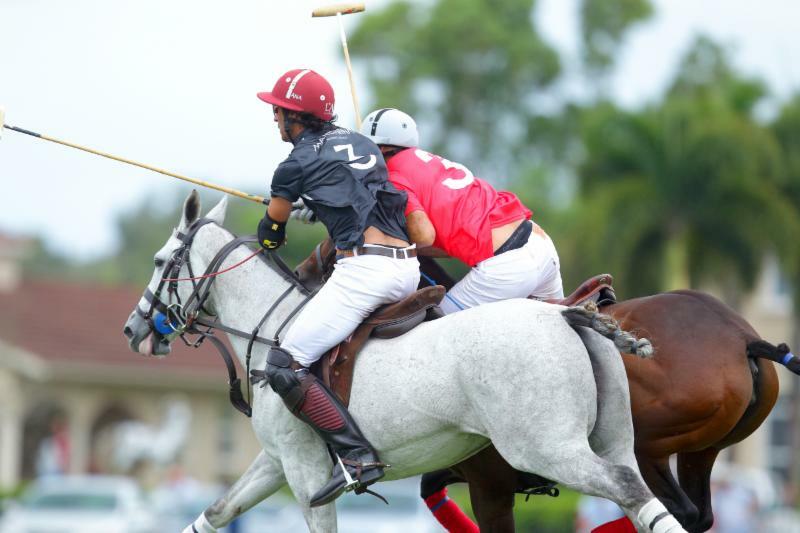 Agustin Nero of WPL tries to hook Alejandro Novillo Astrada of Mandarina. “I was lucky to get a chance to play on this team,” Dawson said. “They make it really easy. It’s very fast, really nice guys and super well-organized. The horses are amazing. 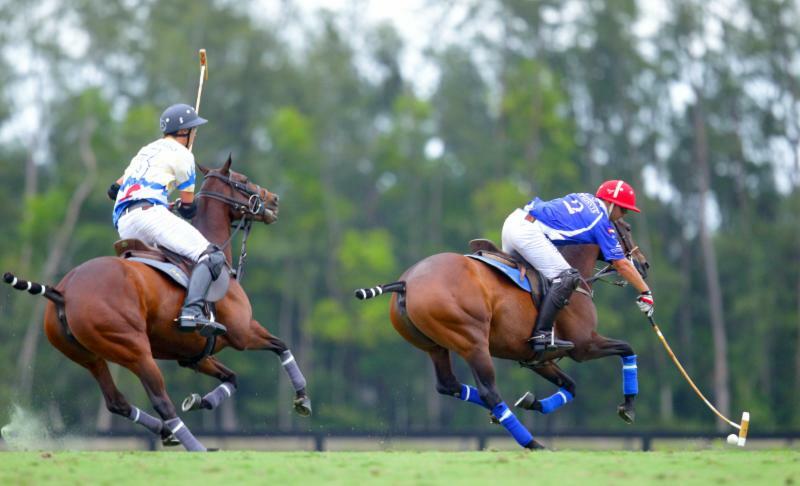 It’s world-class polo, world-class guys, world-class fields on world-class horses. This was a guest appearance for me. It was a taste and it tasted really good. Alejandro Novillo Astrada of Mandarina works the near side with Agustin Nero of WPL defending. Novillo Astrada was disappointed with the loss but pleased the team never let up. Mandarina missed three scoring opportunities in the final chukker. 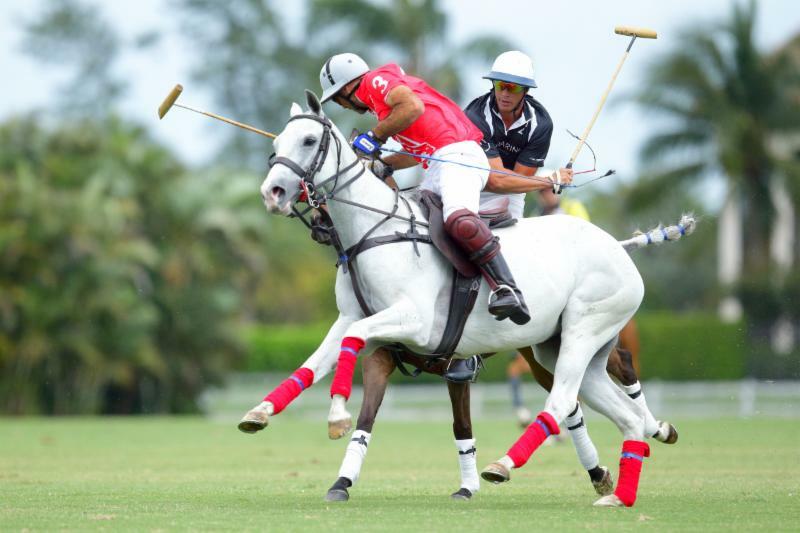 Jero del Carril of Colorado hits the ball with Alejandro Taranco of Valiente defending. Terrera led WPL with six goals. Cavanagh added three goals and Dawson and Nero each had one goal. Novillo Astrada led Mandarina with three goals and Spinacci added one. WPL evened its record to 1-1 in Bracket II play, setting up an interesting matchup with Audi in Sunday’s feature game at GCPC. Mandarina dropped to 0-2 and will play Grand Champions also on Sunday. 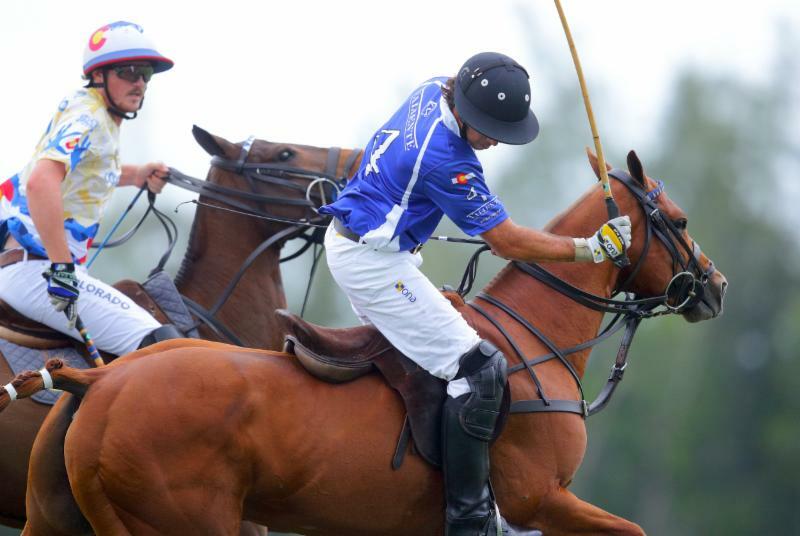 Juan Martin Zubia of Colorado uses both horses for his neck shot past Alejandro Taranco of Valiente. 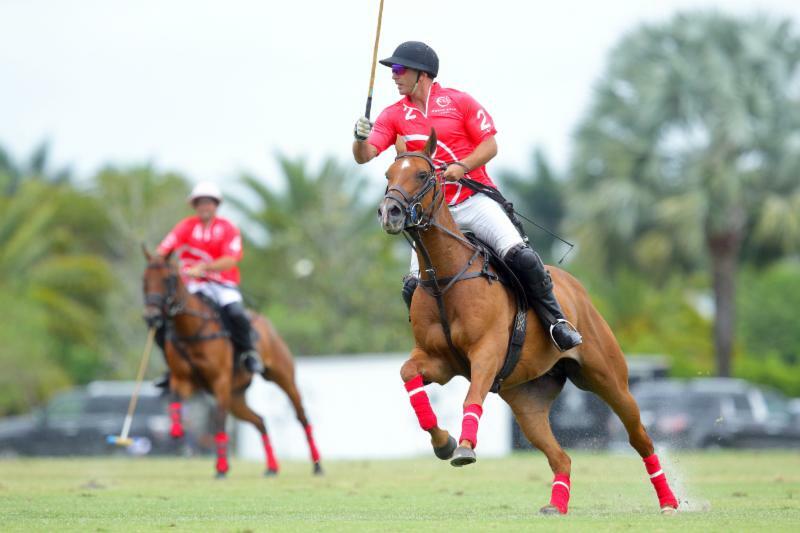 In the second game of the WPL doubleheader, Colorado (Rob Jornayvaz, 2, Juan Martin Zubia, 7, Jero del Carril, 7, Adolfo Cambiaso, 10) left no doubt it is the tournament favorite with a 14-12 victory over Valiente (Bob Jornayvaz, 2, Santi Torres, 6, Pelon Stirling, 10, Alejandro Tarranco, 8) at blustery Valiente Polo Farm. 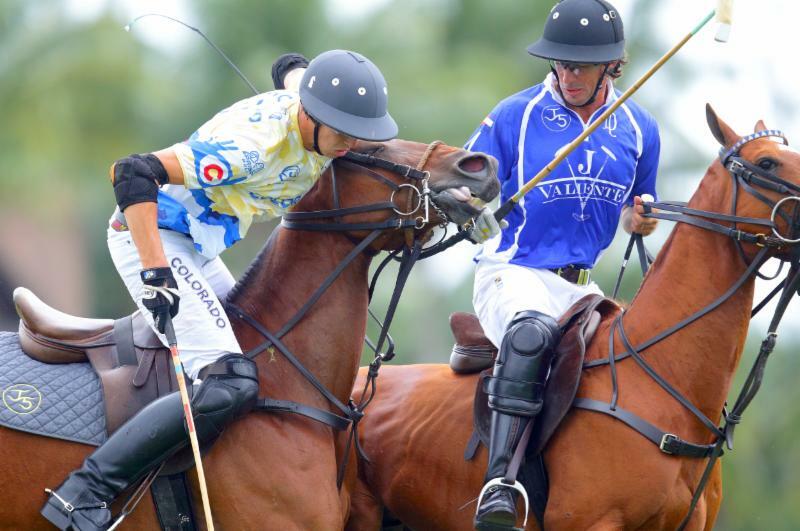 Jero del Carril of Colorado tries to ride off Alejandro Taranco of Valiente. Don’t let the score fool you. Colorado was a well-oiled machine from the opening throw-in running up a 9-3 halftime lead and 14-7 advantage after five chukkers. It wasn’t until the final three minutes, Valiente scored five unanswered goals before time ran out. 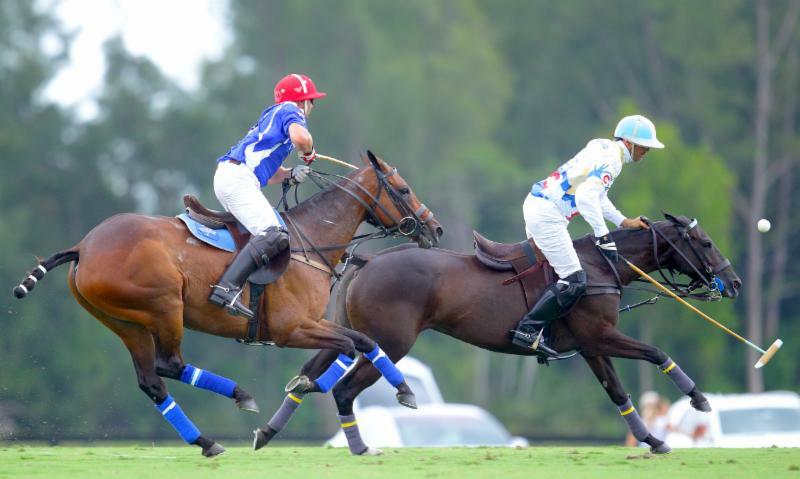 Adolfo Cambiaso of Colorado and Santi Torres of Valiente battle for possession. 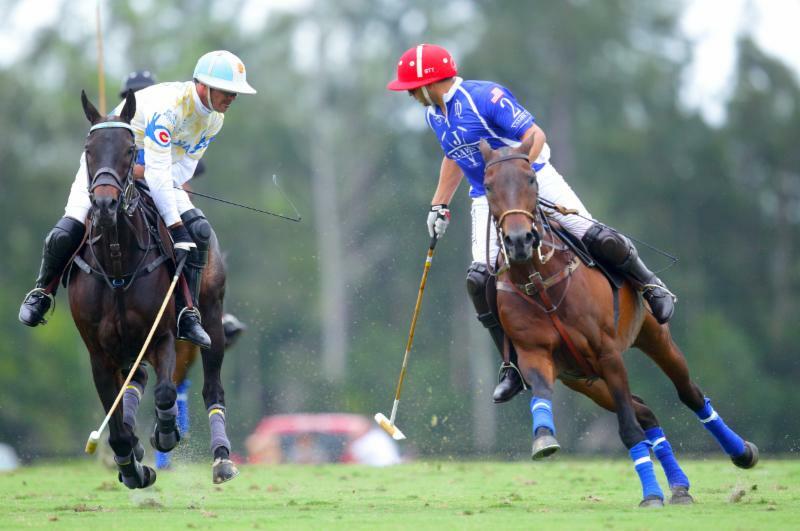 “We started well more or less, played well in the second and third chukkers and then nothing, we had a free gap in the last two,” Cambiaso said. Santi Torres of Valiente reaches for the ball with Jero del Carril of Colorado in pursuit. The 19-year-old Zubia had a team-high six goals for Colorado. 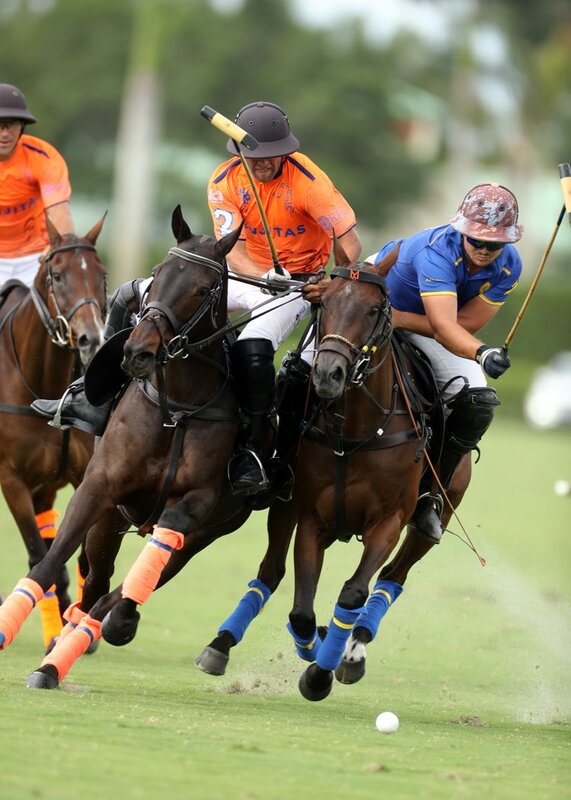 Del Carril had four goals, Cambiaso added three and Jornayvaz had one. For Valiente, Stirling led the team with six goals. Torres and Tarranco each had three goals. Colorado is 2-0 and Valiente is 1-1 in Bracket I play. 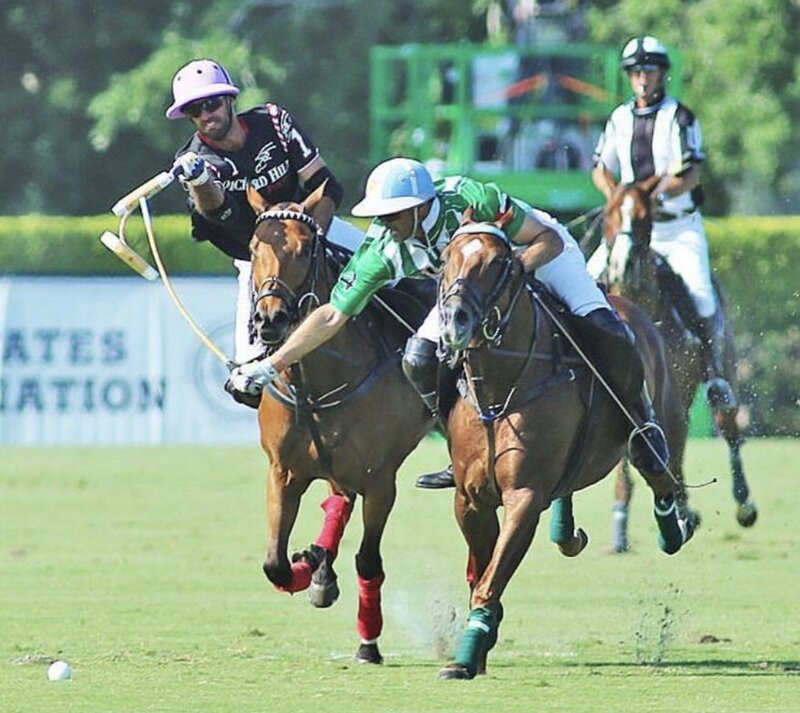 Juan Martin Zubia of Colorado leans back to retrieve the ball from Alejandro Taranco of Valiente. 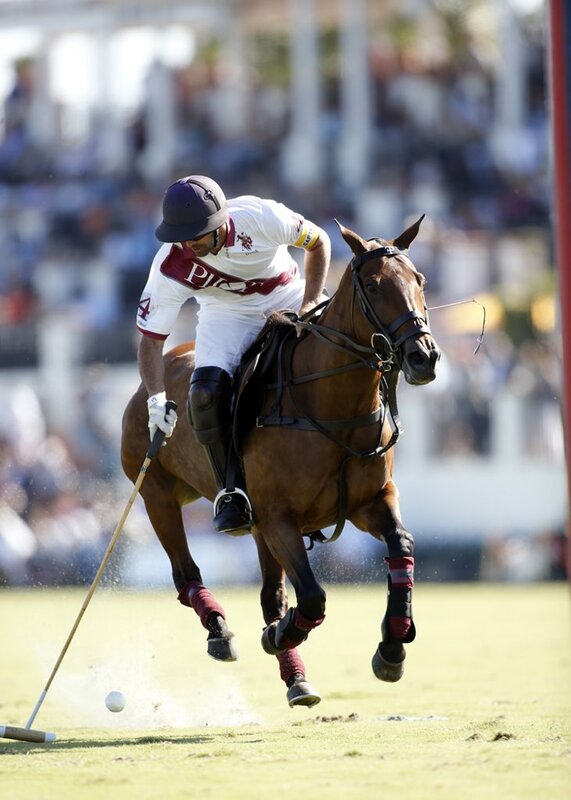 Santi Torres of Valiente pursues Adolfo Cambiaso of Colorado as he works the ball out of the air. 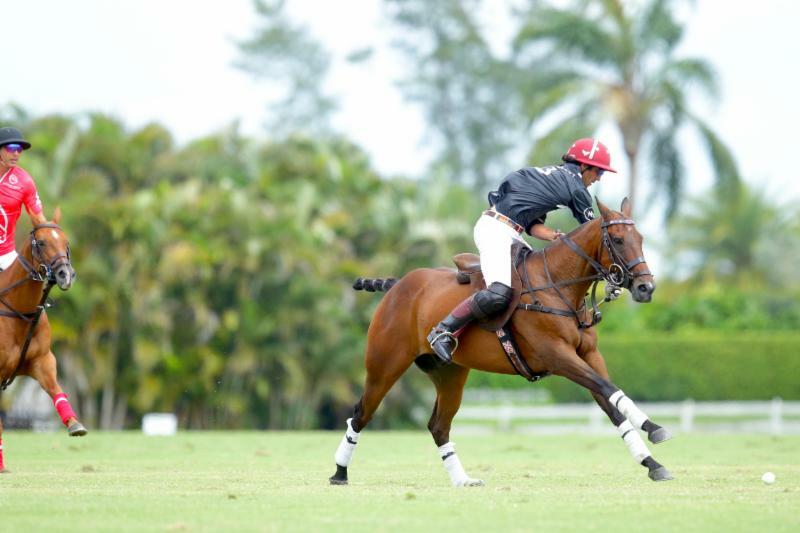 Adolfo Cambiaso of Colorado looking for teammate Juan Martin Zubia downfield. Rob Jornayvaz of Colorado defends Alejandro Taranco of Valiente as he backs the ball.